For many of our customers in Esher, Leatherhead and the surrounding local area, maintaining the structure and appearance of trees is a priority. Our tree surgeons perform crown thinning, crown reduction and crown lifting services for a wide assortment of clients. 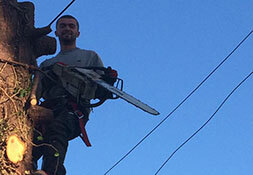 We are vastly experienced and capable of handling all tree management requirements in complete safety. Debris accrued from our work is recycled to create logs, chippings and other timber-related products.